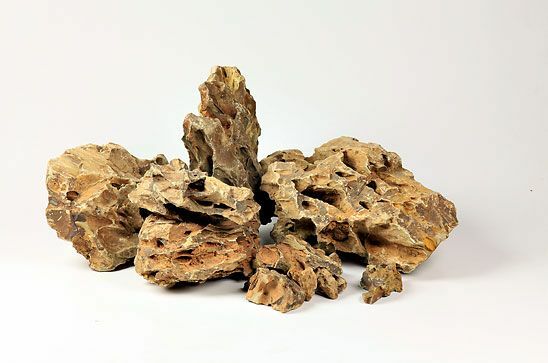 Dragon Stone is one of the most popular aquascaping rocks out there. It's a finely detailed stone with many crevices and holes. These crevices are perfect for planting mosses and small plants. 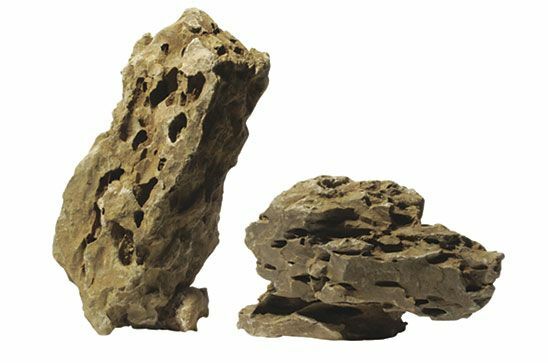 The rocks are most effective when used in groups to form the main foundation to your aquascape with plants placed around them. 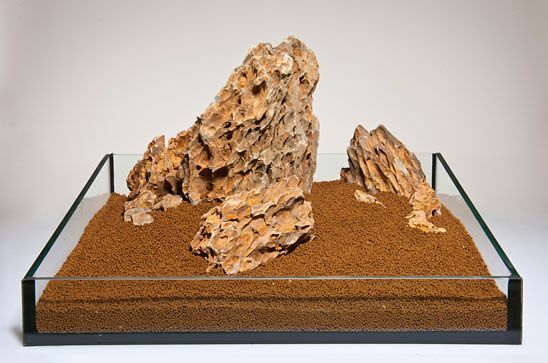 Popular rock for aquascaping and Iwagumi style aquascaping. An average piece weighs approximately 2-3KG. We aim to include a range of sizes and shapes. Just received my stone. 9kg of it. All look nice but a very large piece came that will look amazing in my tank. Great looking rock for aquascaping. Aquarium Gardens sent be some really good sized pieces and smaller ones to complete my scape. Perfect, thank you. 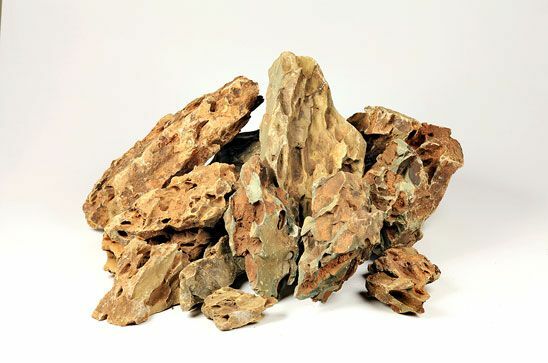 Purchased this rock as well as the Maple leaf rock (see my review) This is a great rock for any fish tank, colour and texture really stand out and lives up to its name, my Neon Tetras really stand out against the colour of Dragon Rock.